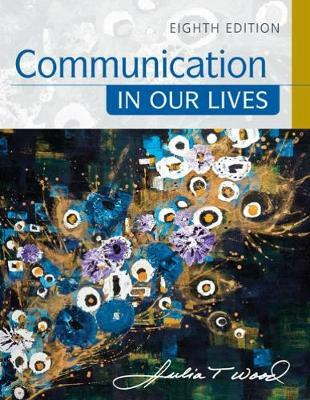 COMMUNICATION IN OUR LIVES, 8th Edition, provides everything you need to become a more confident and effective communicator -- in both your personal and professional life. Award-winning teacher Julia T. Wood combines the latest research, theory, and best practices with hands-on skills development. Extremely student friendly, the text features an engaging, personal tone, while frequent Student Voice sections highlight how past students have experienced key communication concepts. In addition to its signature emphasis on social and cultural diversity, the eighth edition includes expanded coverage of digital media, a new focus on health communication, and an early introduction to public speaking -- with plenty of sample speeches. The text also illustrates the importance of effective communication to today's careers. Interactive, online study tools help you put what you learn into practice as you strengthen your interpersonal, group, public speaking, and media skills.